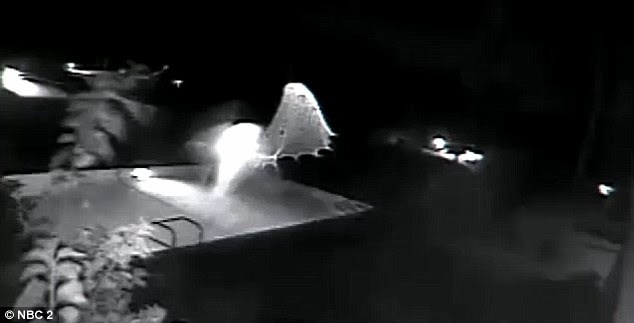 A video showing strange lights hovering over a pool in Naples Florida for nearly 30 minutes. Residents say they have never seen anything like it and experts aren't sure either. 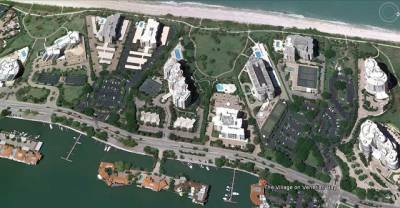 Monday night, security officer Debralee Thomas was watching the camera feed from behind a Gulf Shore Boulevard Condo building just across the street from The Village on Venetian Bay, 4200 Gulf Shore Blvd N, Naples, FL when she noticed strange lights swoop in over the pool. "I realized that it was something that wasn't normal, so I was like 'oh my, what is that,'" Thoma said. 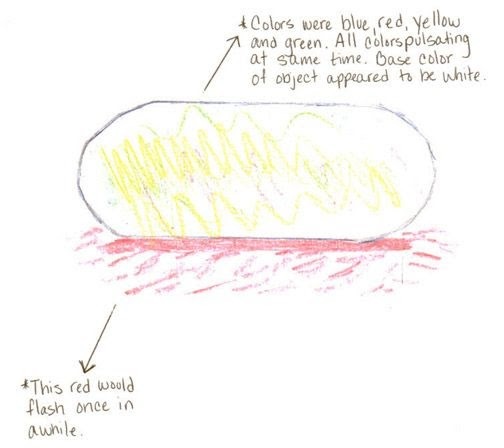 At first glance, what she saw almost looked like a saucer-shaped object up top. Then the object went down into the pool and expanded like a web -- moving back and forth. After nearly thirty minutes, the object started to disappear. Thomas said bugs fly up to their cameras all the time, but this was further away. "It was down on the ground but some of that webbing was longer and it made a funnel down into the pool. Whatever it was doing in the pool, I don't know," Thomas said. The video was sent to MUFON, a UFO organization in Ohio. Officials at MUFON say it is one of the most fascinating videos they have seen in a while. They are analyzing it, but they don't think it is a hoax. That's what Thomas' coworkers thought at first, until they saw the video their selves. "We watched it on tape and to be honest I was so grateful that it was there so I could say it was real…it really happened," Thomas said. Seven of the pattern-changing, orange, glowing lights on September 14, 2010, watched and photographed by more than fifty people at the Fifth Avenue South and naples pier in Florida. Steve McInerny, who was at the time Naples Fire Chief, said the Police and Fire-Rescue Communications Center in Naples began to receive the first of many 911 callers who were reporting “strange, orange lights being shot up from the surface of the ocean into the sky” and “flashing on and off.” At first, callers believed a boat was in distress and that the orange lights were distress flares. And then as I walked closer, I could see – I guess the easiest description is it looked like the size of a Ferris wheel (average diameter 350 to 540 feet). When I observed it, it was seven lights more or less in a circular formation, but it would change from a circular to more of an octagon shape. But it kept moving in shape. It would stay in the same location, but just change shape. And all the lights were more or less symmetrical. One wasn’t brighter than the other. There was no smoke being given off. They were just kind of an eerie, orange glow.